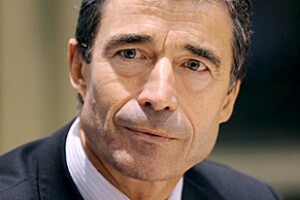 Anders Fogh Rasmussen, former Danish Prime Minister and current head of NATO, said in an interview with BBC that NATO acts by resolution of the United Nations Security Council. I think it’s time to make such a request. Do you want to get rid of Gaddafi or not? I knew that. Embarrassing typo/omission. Hate when that happens. Thanks for the correction. Now says former PM and current head NATO. Ander Fogh Rasmussen is NOT currently the prime minister of Denmark he is the FORMER prime minister of Denmark.